I must confess that when it comes to a body scrub I am the least demanding person ever: I only want a scrub that is not too hard on my skin, that does not irritate my skin and that smells nicely. I suffer from keratosis pilaris on the arms and for this reason I always have a scrub in my shower stall, which I use a couple times a week. As I use it quite frequently, I prefer it not to be too aggressive. Right now I am finishing a coconut scented scrub (it is ok, will feature it in upcoming posts) so I found myself in the market for a new one. 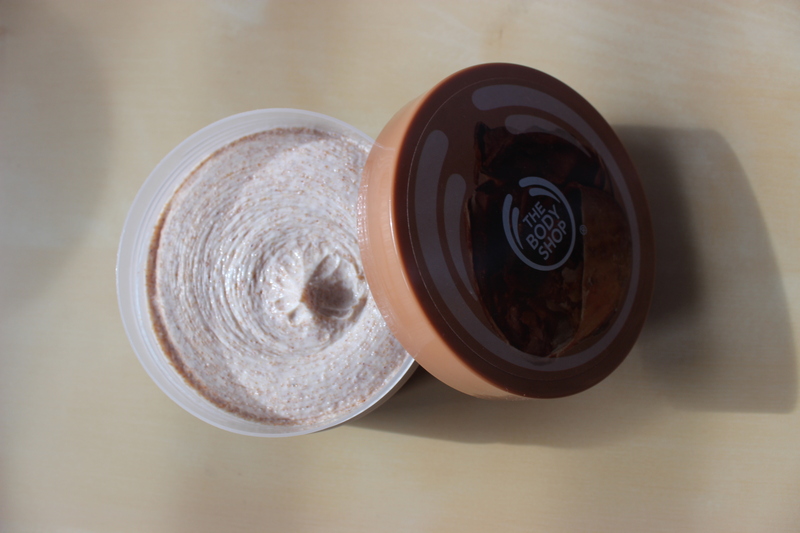 As I had previously tried The Body Shop’ Olive Body Scrub and enjoyed its effects, I gave another of the company’s products a go. In this case it is the Cocoa Cream Butter Body scrub that came home with me. The pot contains 200 mL and retails for 14€. 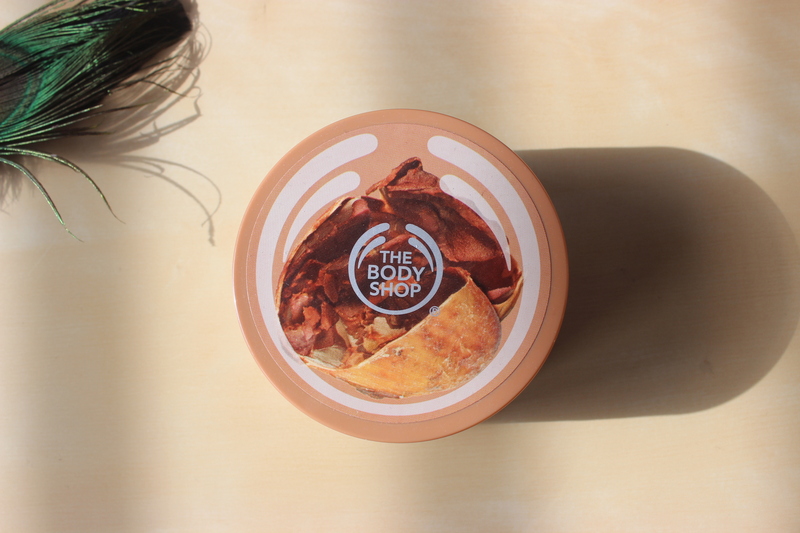 As with my previous The Body Shop scrub, the product is gentle enough while being effective. After you use it, your skin will feel smooth and soft, and I would go so far as to say that even slightly hydrated. While I did not like the scent of the Olive Body Scrub much, I must say that the scent of this cocoa scrub is an appreciated improvement. If you are interested in a body scrub, you might want to check The Body Shop’s range, as not only do they offer scrubs with different scents at an affordable price, but they also offer more specific scrubs like the Peppermint Soothing Foot Scrub or more luxurious ones like the Moroccan Black Olive and Argan Oil Scrub. Do you use body scrubs as part of your routine? What are your recommendations? < Previous Willkommen. Bienvenue. Welcome.